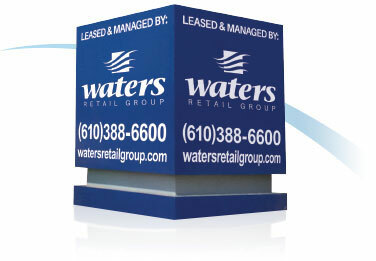 Lancaster, PA (Lancaster County) – March 19, 2018 – Waters Retail Group (Kennett Square, PA), Southeast Pennsylvania’s premier development, management, leasing, and brokerage firm, has leased 1,600 square feet of space to JX Spa, who will operate as a day spa offering massage, facial and spa services. The 1,600-square-foot spa is scheduled to open in June of 2018. Joe Waters and Kevin Donahue of Waters Retail Group represented the Landlord. Centerville Square Shopping Center is located near the intersection of Route 30 & Centerville Road in Lancaster, Pennsylvania. The Center has recently undergone a $2 million renovation. The 106,681 square foot shopping center is anchored by Giant Food. Other tenants include: Fine Wine & Good Spirits Premium Collection store, Friendly’s, Five Guys, Moe’s Southwest Grill, Saladworks, Beerink, Dunkin Donuts, Tropical Smoothie, Sprint, Cafe East, Edward Jones, Holiday Hair, Centerville Green Cleaners, GNC, Ruffino’s Pizza, UPS, Centerville Nail Spa and Hallmark. For more information please visit Centerville Square Shopping Center, or contact leasing agents Kevin Lahn or Joe Waters at 610.388.6600.